Miami, Fl 10/20/2011-(The Cuban Art Project) – For a woman to succeed in the world of Latin music she had to break through cultural taboos and wrongly conceived commercial perceptions. 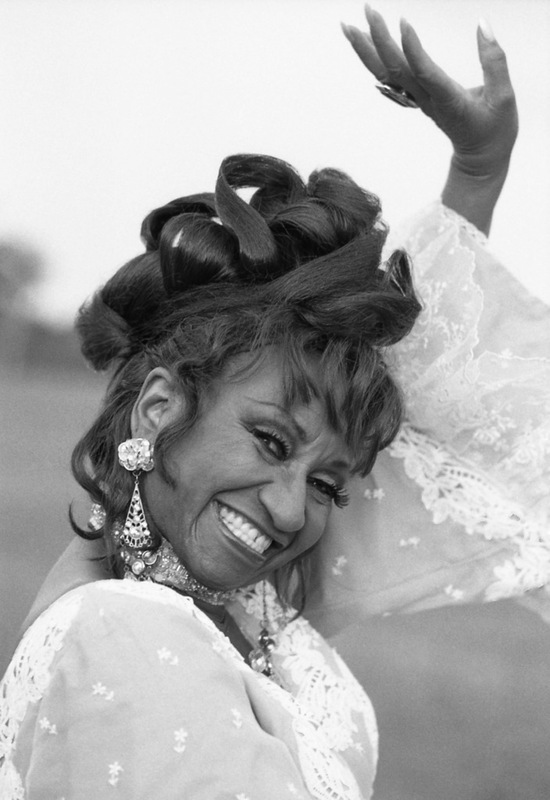 No one cracked that gender barrier like Celia Cruz – the undisputed Queen of Salsa. Alexis Rodriguez-Duarte, longtime friend and personal photographer celebrates this iconic salsa mega-star in a photographic exhibition staged to open on October 20th at 7:00PM at Casita Maria Center for Arts and Education, located at 928 Simpson Street in the Bronx, New York. The exhibition will run from October 20 to November 21, 2011 and will include ephemera and a dress worn by Celia. “Celia was an inspiration for me, she was the light. Watching Celia perform live was a gift,” says Rodriguez-Duarte. Born on October 21, Celia de la Caridad Cruz Alfonso lived a life larger than most. Her career spanned over fifty years and she recorded more than 70 albums—including a bounty of gold and platinum records—five Grammys, four Latin Grammys and countless hit songs. She joyfully introduced the soulful sounds of Latin music to audiences around the world. feel so proud to be Cuban.” added Rodriguez-Duarte. Through the lens of this accomplished photographer, Alexis Rodriguez-Duarte in collaboration with Fashion Stylist Tico Torres, share many images and recount intimate stories of their unique fifteen-year friendship. From quiet backstage moments to explosive live performances, fans will enjoy this contemporary portrait of Celia Cruz, who despite her fame was always warm, full of life, full of music, and full of ¡AZÚCAR!